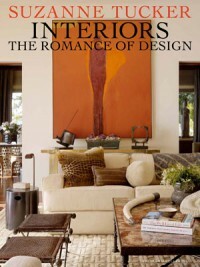 Suzanne Tucker, a perennial on the AD100 Top Designers of the World, presents the best of the West Coast, featuring opulent Napa Valley estates, glamorous penthouses on San Francisco Bay, and art-filled apartments. All are united by an attention to detail where the designer's hand is evident in every tile, molding, railing and finish; Suzanne Tucker redefines the notion of the custom home. She interprets her clients' dreams of home and translates them into lavishly decorated rooms, perfectly tailored to their interests, passions and personalities. She marries each of her designs to the particular tastes and sensibilities of her clients while always honoring classic design principles. The result is exquisitely polished interiors that blend timeless, Old World elegance with modern luxury and spirit. 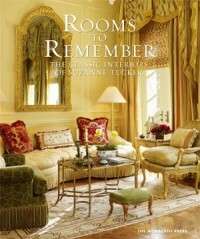 In the work of interior designer Suzanne Tucker, art and artifact collections are displayed to best advantage for daily enjoyment by their owners, custom-mixed wall colors are set off by richly sensual textiles and forms, and inherited pieces are blended with newly found treasures to bestow a subtle aura of age and permanence. She uses her extensive knowledge of antiques and the decorative arts to create finely detailed, inviting rooms that perfectly complement both their architectural setting and their owners' personality.